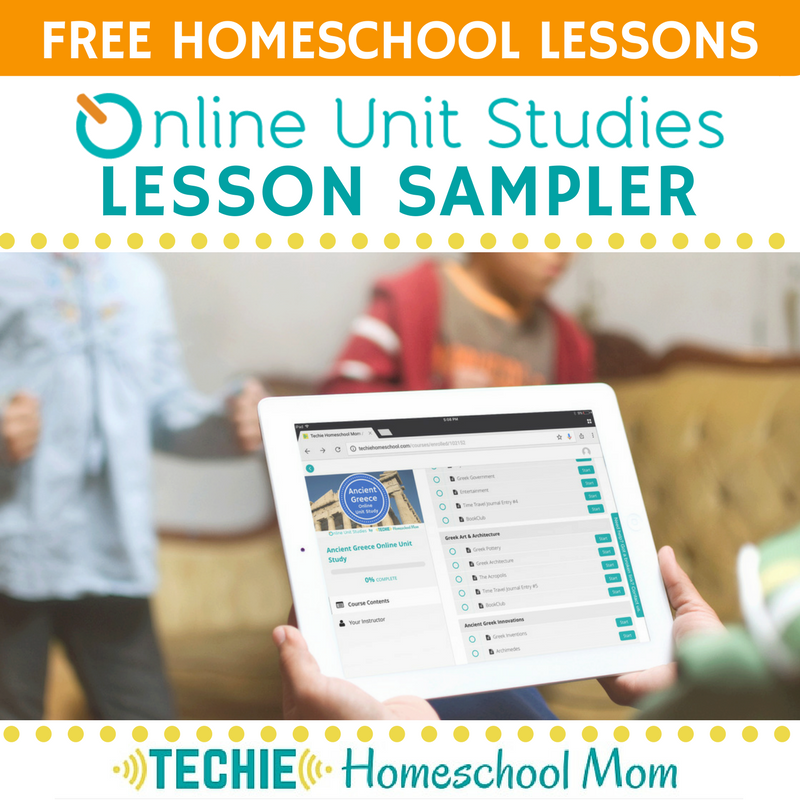 One of the easiest ways to start techin’ your homeschool is to find websites and videos to expand on topics you’re studying. 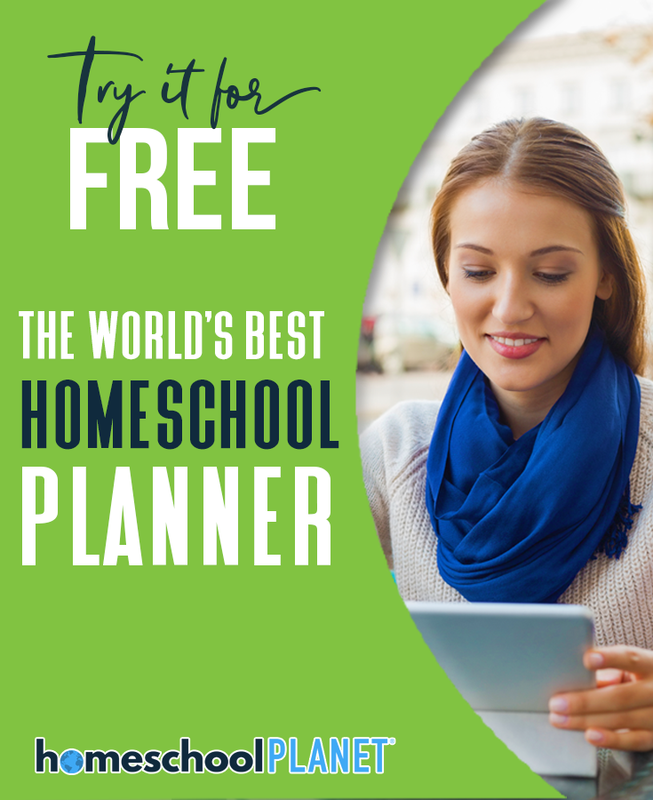 And if you homeschool multiple kids, you probably all end up crowding around a laptop or tablet for your online homeschool lesson. This is a pain for everyone. 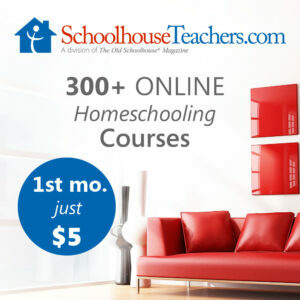 The solution is learning how to connect a computer to your TV so you can view your online homeschool lessons on a larger screen. If you’re like me (or at least how I used to be), you know that there’s “got to be a way” to do that, but haven’t gotten around to figuring it out. You probably only think about it when you’re kids are arguing over who gets to hold the laptop for your family lessons, not when you have time to research how to mirror your PC to your TV. I know… been there, done that. Well, I've got some good news for you. It’s not very difficult to send what’s on your computer (or phone) screen to the big TV. You just need to right equipment. First off… a little vocabulary lesson. Mirroring is when you project exactly what is on your computer screen to your TV. For example, you open up Khan Academy and while it runs on your computer, it shows up on your TV. You control what you’re doing with the computer, then send that message through a cable or wireless device. Casting is the same thing as mirroring, however, the term is mostly used when you are using a wireless device as a go-between your PC or mobile device and the computer. Streaming is a different thing. When you stream, you are sending the data directly from the Internet to the device you are viewing on. There is no computer or phone involved, just a device connected to your TV that picks up online data. You don’t control what shows on the screen from another device but use a remote. With streaming, the image is often a better quality than ones that are mirrored. 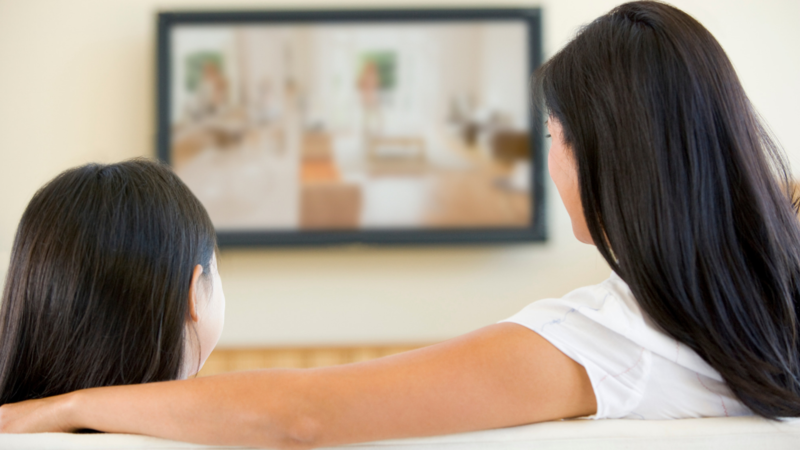 So, when you find websites, videos and online courses for homeschooling, you are typically going to mirror or cast to your TV. If it’s from a website that has a streaming channel, you can view them that way. 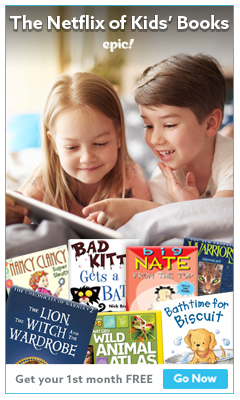 Regardless of how you get your homeschool lessons onto your TV, it’s a really smart way to present lessons for multiple children. This gives everyone a better view of images, maps, demonstrations, etc. This method is pretty “old school”. With an HDMI cable, you just connect one end of the cable to your PC and one end to your TV and it will allow the TV to display as a computer monitor. It’s pretty fail safe since equipment is hard-wired. But, it requires you to operate your computer while it’s plugged into the TV. That usually means you’ve got a makeshift laptop stand right next to the TV. And you need to unplug the laptop to use it elsewhere. Not an ideal situation. Smart TVs are set up to stream data from popular websites, such as Netflix, Amazon Video, Youtube and more. You can also access and internet browser to surf with your remote. Additionally, many Smart TVs will pair with other devices so you can mirror what is on your computer or mobile device. 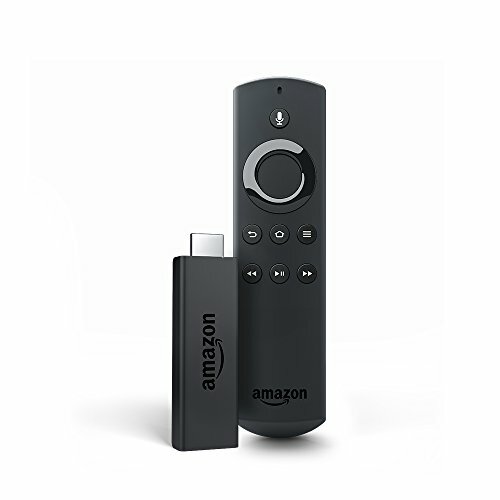 Popular streaming devices like a Roku or Amazon Fire Stick plug into an HDMI port on your TV. You then access a menu that allows you to connect to “channels” with videos. You can load your video queue from another device, then stream them to your TV. This method works great for watching videos, not so much for viewing websites. Many gaming systems also allow you to stream video content to your TV. A casting device, like the widely popular Chromecast, is similar to the option above in that it plugs directly into your TV. You pair it with other devices on the same wireless network and then “cast” your screen to your TV. 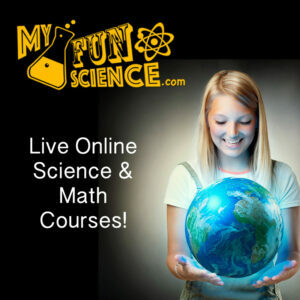 This is the ideal way to show websites, online courses and such. You can also use some whiteboard apps on a mobile device and cast them to the TV. With a projector, you won’t watch on your TV necessarily, but project the screen of your PC or mobile device onto a wall or movie screen. There are lots of options for wireless and Bluetooth projectors. Honestly, I don't know much about this method because I’ve never had a wall with an empty enough space. Plus, it’s one more piece of equipment I need to keep track of. 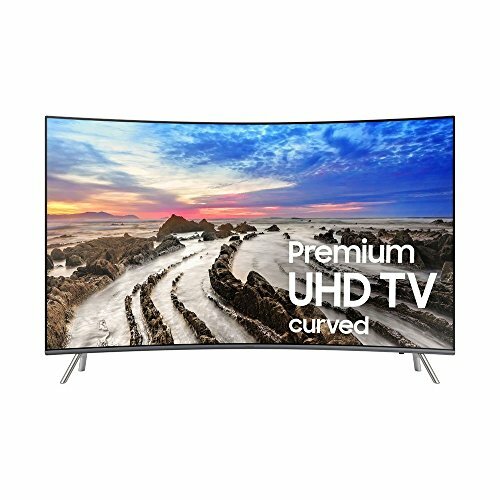 In my opinion, a Smart TV is the best option. You have the capability to stream or cast. You do things like make a playlist of YouTube videos, then stream them right from your TV without needing to have your computer running as well. Or you can find a YouTube video “on the fly” and cast it straight to the TV without needing to pull up the YouTube channel on your TV. 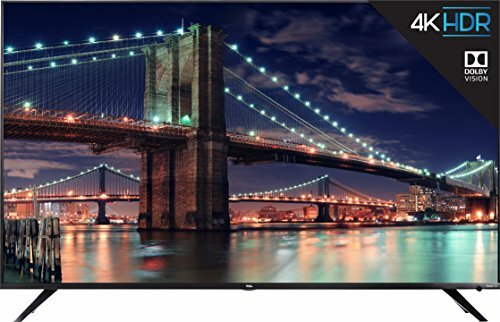 You've got lots of versatility with a Smart TV. But, Smart TVs are expensive and, like my family, you may need a less costly method. Our family uses a Roku Stick for streaming and a Chromecast for casting. 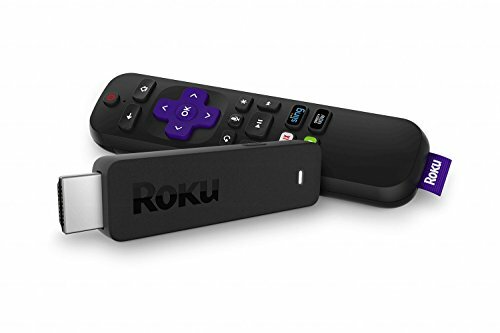 If we are watching a video or doing a course we can access through a Roku channel, we use the Roku. The search features are great for on-the-fly learning, too. Otherwise, we choose the Chromecast. All our laptops, Chromebooks, and mobile devices are connected to it, so I can pick up any device and cast what I need to the TV. It’s been working out just fine. In fact, I can’t think of any time where I’ve thought “Oh, I wish I had a Smart TV” (except for when I’ve been pining for a high def TV). As always, it comes down to what is best your unique family's unique situation. But I encourage you definitely decide something. Now that you know how to connect your computer to your TV for online homeschool lesson, you don’t need to feel ignorant or intimidated. It really is fairly easy. Whatever device you end up will include instructions and on-device tutorials to walk you through the setup process. And with a simple Google search, you can find additional help. You can do this … I believe in you! 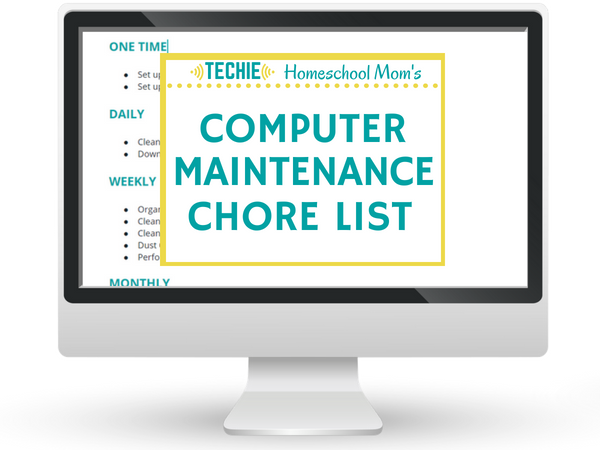 Be sure to join my Techin' Your Homeschool Facebook group and ask what works for other techie homeschooling families. Tell me, which way to connect your computer to your TV do you want to try for your family? Got any questions about how? Leave me a comment. Has anyone tried using a Raspberry Pi instead of a laptop to connect to the TV?